After stuffing ourselves with food, we opted for a walk around the Nanjing Road in hopes of finding some good deals or bargain discounts at some stores. 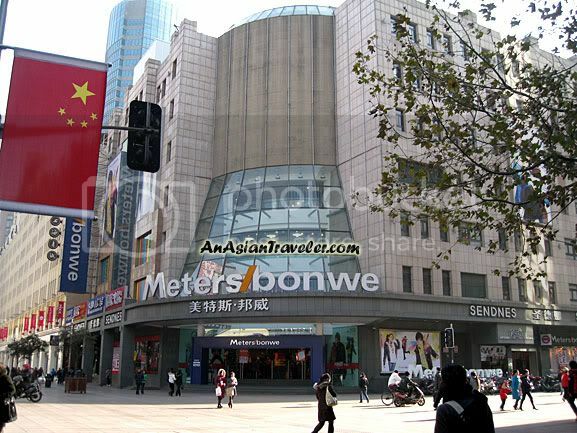 Our first stop was Metersbonwe, the largest and leading casual clothing retailer in China. 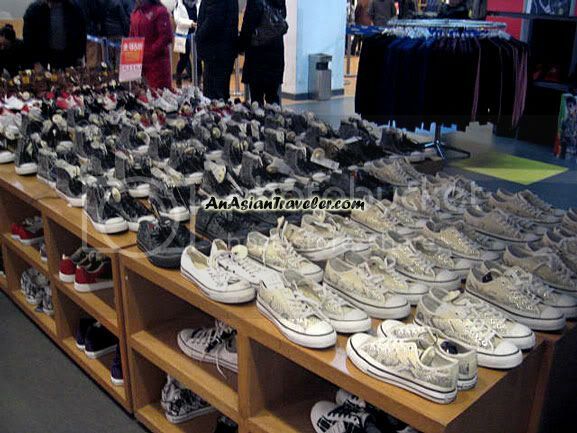 This is one of my favorite places to shop whenever I am in Shanghai. 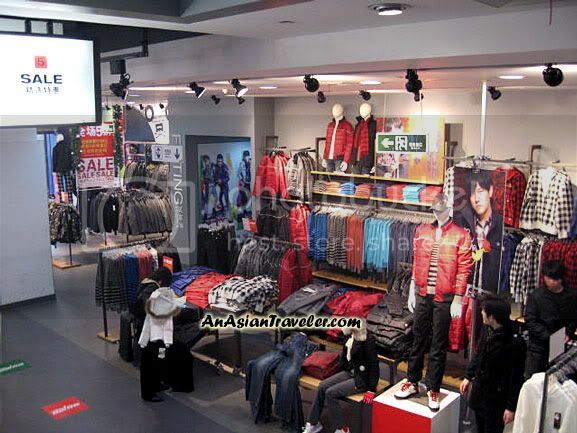 Most of the clothes are casual but fashionable and the prices are very reasonable. 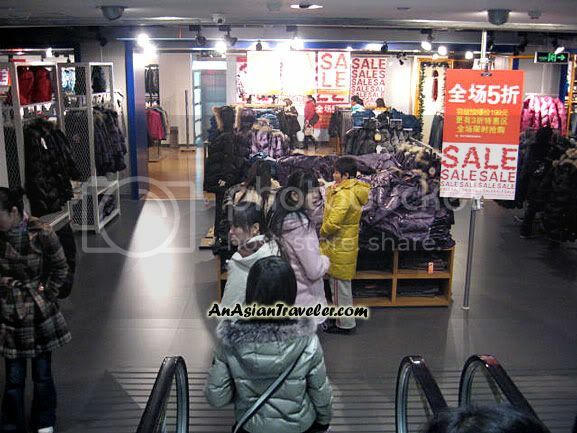 We stepped into the store filled with a copious display and collection of coats, sweaters and jackets, which I find too common elsewhere. The winter sale was a total disappointment for me as there wasn't a single outfit that I really liked. Metersbonwe is popular among teens but there are also some clothes that will fit for young adults and middle-aged shoppers. We spent half an hour puttering around the shop until HB saw a pair of shoes with snakeskin print design, which was at a good price and very similar to what he had bought online a couple of months ago at Asos. Soon we left the store feeling like a cheapskate for only dropping Php550. :) It was on sale 50% off. oh. we didn't get to see this mall. maybe the next we visit Shanghai. It’s not a mall. 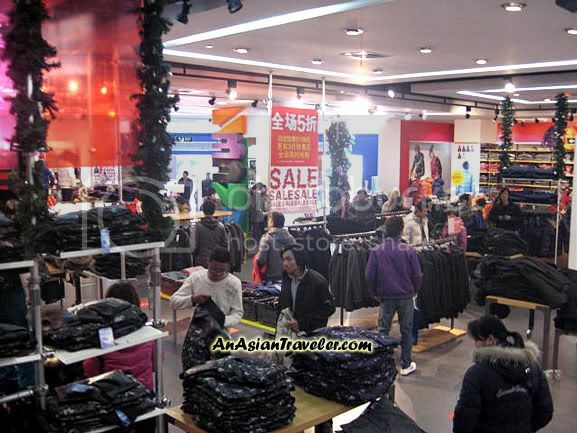 It’s a three-story flagship store of Metersbonwe, a famous clothing brand in China. I have never visited Shanghai, although I would like to. Thanks for the tour of the store. Thank you, too, for visiting my site. That looked like a cool shop, with plenty of stuff to choose from! Hi dropping by to say 'hi' and thanks for visiting my blog! It seems you have travelling to a lot of wonderful places! I have been to Shanghai when I was a kid, I really had a good time there, and it's totally different now!